Archives of Eaton Bray News for April 2016. 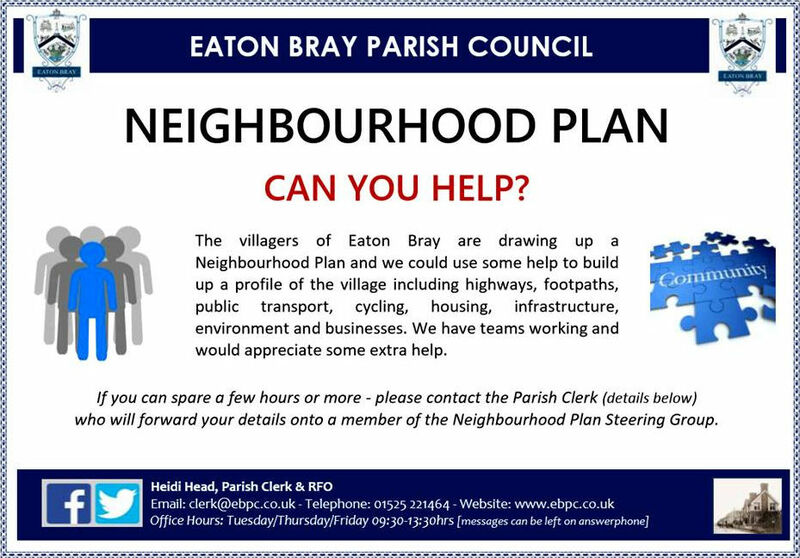 Neighbourhood Plan - Can You Help? This article was published in April 2016. Please see Latest News for more recent information. You are viewing the April 2016 archive.